Born in 1952 in Chicago, Illinois, I grew up in Los Angeles, California, where I was surrounded by ceramics from an early age. My family were part owners of several commercial whiteware ceramic manufacturing companies. Spending my childhood around ceramic factories, it was an obvious choice for me to go into the family business. After taking a pottery class at a local clay studio in Venice Beach while in high school, I went to the University of California, Irvine in 1970, where I studied biology and sociology. Because of my interest in clay, I also took an introductory studio ceramic course with John Mason. After a semester of college, I took a summer job at one of my father's factories, located in Pasadena, California. I decided that I wanted to continue working in the family business, so in the fall of 1970, when I was 18 years old, I quit school and became the factory foreman and manager at Wildwood Ceramics, which I ran until 1972. Two years of running a small commercial ceramics factory was an apprenticeship that has since proved invaluable in my career. During my time at Wildwood, I was still making wheel thrown pottery. 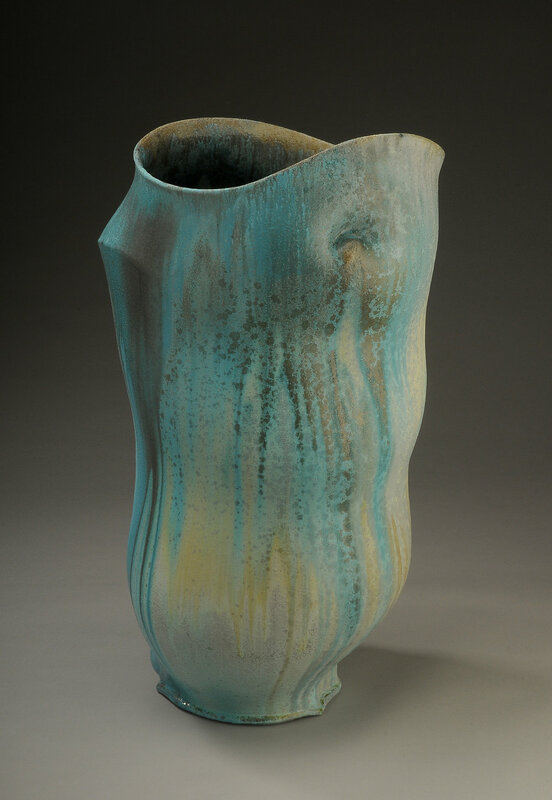 Having decided that the studio side of ceramics was of greater interest to me, I left the factory in 1972 to attend the Kansas City Art Institute, from which I received my BFA in ceramics in 1975. I then went on to graduate school at the New York State College of Ceramics at Alfred University, where I received my MFA in 1977. I established my first clay studio in 1977 in Guilford, Connecticut, with my sister-in-law Jane Gustin. We both shared the studio together for five years, where we each produced functional and sculptural pottery. During this time, I was invited to teach at Parson's School of Design in New York, where I was an instructor in the Crafts Department from 1978 to 1980. In 1980, I began teaching at the Program in Artisanry at Boston University, where I was Assistant Professor of Ceramics. In 1985, the Program in Artisanry moved to the Swain School of Design in New Bedford, Massachusetts, where I became Associate Professor of Ceramics and head of the ceramics program. Swain School subsequently merged in 1988 with Southeastern Massachusetts University, now the University of Massachusetts, Dartmouth. It was during my tenure at Boston University, in 1982, that I moved my studio from Connecticut to South Dartmouth, Massachusetts, where I purchased and renovated an 8000 square foot building that was an old chicken farm. This building became both my studio and my living space. In 1986, I became involved with a small group of artists interested in saving and preserving an old brick factory in southeast Maine. With Peg Griggs' generous donation of the property, she, George Mason, Lynn Duryea and myself founded the Watershed Center for the Ceramic Arts, in Newcastle, Maine. Watershed is now thriving, offering summer and winter residencies to artists from around the world. I became interested in the production of tile in 1994, when my wife and I began to design our new home. I made all of the tile for the new house, and out of that experience I started Gustin Ceramics Tile Production in 1996. The tile company offered me another way to work with ceramics, and has grown significantly in the last couple of years. The tile is represented nationally by architects, designers and tile showrooms. I was Associate Professor of Ceramics and the senior faculty of the ceramics program during my ten year tenure at the University of Massachusetts, Dartmouth. After twenty years of teaching and working with hundreds of undergraduate and graduate students, I retired from academia in the summer of 1999 to devote my full time and energies to my studio work and my tile production company. Making tile is a way for me to connect to the basics of functional ceramics and to touch the roots of utilitarian clay. My studio work over the years has moved away from an interest in function and utility to an interest in sculptural form. Yet the desire to make things that function in our daily lives still resonates deeply within me. I have found that this "need" is indeed quite strong, and over the years I have occasionally fed it by making simple objects for daily use; the cup, the bowl, the plate. When my wife and I built our new house, I found another way to work with utility and function, and that was with tile. Tile is the ultimate functional object, made throughout time by cultures all over the world. It can be innocuous, simple and invisible, yet it can also be extremely powerful and visually strong. Tile has the potential to define an architectural space, giving color, pattern and texture to a room, and creating mood and atmosphere to one's home. It is a surface that asks to be felt, both through physical touch and by sight. Tile is meant to be walked on, looked at and, when dirty, scrubbed clean. It is very basic, and consequently, quite powerful. It can be the ultimate decorative element in architecture.